The a7R is a high quality camera, as you’ll see below, but the latest and greatest in this family is the a7R III. To see the results of my real world testing for that model head over to the Sony a7R III Review. Starting just under $2,000. For other camera recommendations, see Trey’s Gear and Tools. You can pop over to my camera equipment page to see all my goodies, but I’ll just highlight a few here that are related to this camera. You’ll read more about these in the review below. All the Sony a7 cameras have the same lens system — so if you see me use a7 or a7R or a7S — no worries — all the same lenses and stuff! Summary: Incredible! (said in an even more impressive French accent). I’m never the first with my reviews because I like to take the camera out on a hard-hitting run before I post my opinions. You’ll also find my reviews not to be overly technical. To me, a camera is there to create interesting art. I like to bend the technology to my will and it’s just a tool in my hands. Don’t get me wrong, I’ll have plenty of technical details, but I won’t obsess on tech for the sake of tech. I’m much more into it for the sake of art. Throughout the review, you’ll see many samples of photos, like the one I took below. I think sample photos are a great way to show what the camera can do. Note that I unapologetically post-process my photos! Regulars here on the site are very forgiving (welcoming, in fact!) of this notion, but purists don’t like it. That’s okay. But, if you are new and interested in more about this style of photography, check out my free HDR Tutorial! This photo of the Berber man might be worth clicking on and zooming into… The detail the A7r gets is amazing! I took this photo in Morocco. This was taken in the market in Marrakech one evening. This was taken with the NEX 10-18mm lens, where you still get all the full-frame 36 megapixel goodness from 12-17mm, but more on that below. Here is a shot taken with the Sony FE 24-70mm lens. This was taken at 41mm, and it is a great example of why I use this lens so much. Don’t forget that you can zoom in on the image to see even more. It’s an unbelievable mix of four key things that make this a game changer: 1) full frame sensor, 2) interchangeable lenses, 3) small, 4) inexpensive. Add to that some of the best on-board smart electronics, and it’s a no-brainer for me. That’s why this is my main camera! The full-frame sensor means you can get all the kinds of shots that you’re used to if you’ve been using something of this ilk before. If you’re not used to having a full-frame sensor, well, hang on for the ride. You can do things in low light and most any kind of shot that can be more challenging with a smaller sensor. It’s 36 megapixels too, which is absolutely insane. I have a lot of friends that enjoy the Micro Four-Thirds system, which is also of course a good sensor size and system. But, honestly, that sensor size is four times smaller than this one. The basic physics of light and surface area simply dictates the superior performance of a sensor this size. Finally, a full-frame mirrorless system with interchangeable lenses! This of course means that you can use very very small lenses on this also-small body. At shipping time, there were only a few native lenses available, but your older NEX lenses will work pretty well too! See the shot just below that was taken with the Sony NEX 10-18mm lens. Amazing, I say! You can get adapters to use most any other lens system out there, such as Nikon, Canon, or well, whatever. I put a very thin Leica adapter on my Sony A7r, and it’s very fun to use all of those lenses as well. There is a video on this below. You can certainly say that it is a problem that the Sony A7r does not have a lot of lenses available to it. I agree! But, there are plenty of other lenses out there you can just attach to this system. More on that later in the review. This is an example of using an “older” NEX lens on the Sony A7r. This is the Sony 10-18mm shot at 14mm. You can see the massive coverage it still gets, and you don’t give up any of the 36 megapixels! Yes, at certain zooms like 10mm you get a ring around the outside, but I get nothing from about 12mm to 17mm — it is as good as gold. There may be a tiny bit of vignetting (darkening) around the outside, but that is a one-click fix in Lightroom! There is more about this particular lens in the video below (coming soon). This camera is 4x smaller than the Nikon D4 and over 2x smaller than the Nikon D800 or the Canon 5D Mark III. Amazing! And, it’s not just the body, but also the lenses. Naturally, you can use all those other lenses here too with an adapter. For example, I am using the Sony Alpha 16-35mm lens with an adapter so I can get many of the wide-angle shots you see below. Soon, I’ll be able to replace that with a much (much!) smaller FE lens that can get the same angles. This camera is just under $2,000, which is a fraction of the price of most DSLR systems. You’re getting all the quality of the major DSLR bodies with none of the ridiculous cost. What a deal! There are many other awesome little things about this camera too! It’s over 2 times lighter than the Nikon D800 (almost 3x as the Nikon D4). It has a flip-out screen that is super handy for holding the camera down low or up high. The viewfinder is bright and gorgeous with all kinds of handy graphical overlays. It’s weather sealed. Here’s one thing worth a whole paragraph: Focus Peaking. No, this is not a new thing. But maybe if you are new to mirrorless cameras (which many people are who are reading this), then this is a really handy way to nail your focus. Sure, autofocus is great, but sometimes when I am set up, I want to make extra-sure I have the bit that I want in focus. When you turn on focus peaking, you can see exactly what is in focus with a little red (or whatever color you choose) outline. It’s like a video game and very cool. See my video on using Leica Lenses with the Sony a7R video. Because the A7r has an amazing viewfinder that I can attach my eye to and look inside, I can use the digital view to see that little red outline and be sure that I have the perfect bit in focus, even at 100%. Yes, some DSLRs have this, but it is often only on the back of the screen which is often difficult to see in Live View in the daytime. The A7r doesn’t have any of those troubles. This is a tough question! I do have both, and I still use the A7r for most of my landscape shots because of the 36 megapixel to 24 megapixel advantage. If you’re shooting on a tripod, like I often do, then you’re better off with the A7r, I think. The A7ii REALLY shines with handheld shots because of the stabilization, and that is when I often switch to the A7ii. Having said that, if it is the stark middle of the day and quite bright, I don’t think image stabilization gets you anything because your shutter speed will be so fast anyway. I think the A7ii is best for medium and low-light situations when handheld camera-shake becomes an issue. But then, you see, we have yet another variable in the equation, the A7s, which is undoubtedly better than the A7ii in low-light situations. But that drops us down to 12 megapixels. Anyway, there’s almost too many variables to consider for any waking mind. Sony FE 70-200mm f/4 (Amazon | B&H Photo) – I’m so impressed with this lens! I feel like I get just as good of results with this lens as I did with my Nikon 70-200 f/2.8. See more on the Sony 70-200mm review. I made this video here that shows how I used four different Leica lenses on the Sony A7r. Even though I currently use the Sony FE 16-35 f/4 lens (Amazon | B&H Photo) for wide-angle shots, I wanted to add this little section about the Sony NEX 10-18mm cropped lens, because I used it for quite a while before the 16-35mm was released. You can see more on the full Sony 10-18mm Lens Review, but the end result is that it worked great with no adapter on the Sony A7 series cameras. But the advantages of the NEX 10-18mm are manifold! You basically get to move it between 12mm-17mm without seeing the ring around the outside. And yes, you get the full-frame goodness of the 36 megapixels of the Sony A7r! That’s much wider than the 16-35mm. The distortion is pretty much exactly the same on both cameras, as you can see in the video review. Even better, the NEX lens is over 2x lighter, 3x cheaper, and a fraction of the size. First, I hope they do release more lenses very soon. I don’t mind uses lenses from other systems. It’s easy enough; it’s just that they are a bit big. I still prefer to use those other lenses on this system because the A7r body itself is so dang smart and high-quality. Once I can get smaller lenses though, then everything will be ultra perfect. First, I want a good wide-angle zoom. Second, I’d like a good general purpose zoom-lens. That should just about do it for me, personally. I’m very happy with the Leica lens mount I already have and the ability to use all of those incredible lenses that have been around forever. Second, I’d prefer if the Autobracketing was smarter and more configurable. 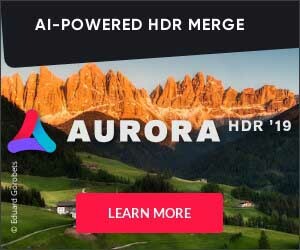 This has always been frustrating for HDR photographers who know it is just simple software. I would like to be able to click the shutter button, then after a 2 second pause it automatically takes a configurable number of shots at different exposures. Third, I’d like to be able to configure the buttons myself more. The zoom-in button is really tough to press when I have my left eye (my only good eye) into the viewfinder. I almost have to scratch my cortex with my thumb to zoom in! These Full-Frame cameras are great for shooting stars and astrophotography. If you want to see more EXIF info, feel free to click into the photo to see more! Here’s my friend Chris getting ready to jump off the mountain with me! This was shot with another one of the new Sony lenses that is available now, the Sony 35mm. It was shot at f/3.5. I know I just said I won’t tell you all the EXIF on every single image, so I’ll go ahead and break this rule here because it is cool. But this is taken with the 55mm lens at f/1.8 (also ISO 100 at 1/60). This is one of the lenses you can get now, and it is super-tiny and makes a lovely bokeh area. This is the kind of nice effect you can get with a full-frame camera. The natural colors and lines and curves of the Sahara Desert. And here we are right before takeoff. This was a handheld shot using the Sony Alpha Lens for their older DSLR system — the 16-35mm. You can see more about this shot in the video above. This one was pulled all the way back to 16mm at ISO 50. Here’s a wonderfully bizarre photo I took at St. Bathans with the Leica 24mm lens. Nailing the focus is very easy with the focus-peaking trick. Full frame sensors can give you nice bokeh even when the main subject is quite a ways from the camera. This was shot in Tokyo. And here’s another example of the full-frame buttery goodness of the out of focus area. This was shot with the Leica 50mm f/1.4 lens. Using the EVF on the Sony A7r makes it very easy to line up for symmetrical photos like this one to make sure I am in the exact center. The live horizon-meter also comes in handy in these situations. Great for low-light photography, here is a fisherman from Southern China. Also shot with the 24mm at f/1.4. Here’s another handheld shot (on a shaky bridge!) near Wanaka. It was also taken with the older Sony Alpha Lens — the 16-35mm. Here’s my paragliding master, Swanny. He’s the man. He’s a man’s man. This was taken with the same lens as above. Here’s a wide-angle shot from Morocco at night. This is with the NEX 10-18mm lens. Here’s one of my daughters sitting down outside in Arrowtown. This was taken with the Leica 70mm lens at f/2. And here’s my mate Stu talking to Management to check on the progress of Peace in 10,000 Hands. The relatively compact nature of this camera makes it a joy to grab quick shots like this. It’s over 2 times smaller than the Nikon D800 and the Canon 5D Mark III. It’s over 4x smaller than the Nikon D4. The focus-peaking allowed me to use the 50mm lens to find the exact spot where I wanted to focus. Shooting action and HDR together are quite a bit of fun. For more, see my HDR Tutorial here on the site where I have a full video about this shot! Shooting wide-open doesn’t get any better! This is from a field of lavender near Mount Cook. Sony doesn’t sponsor me or anything. They got me an early camera to test, but I also bought one. I also bought a bunch of Sony NEX-7’s and NEX-6’s when I switched away from Nikon last year. Nikon didn’t sponsor me either… I wrote a full story about switching from the Nikon to the Sony. You may find additional information there if this is an area of interest for you! I also wrote about my first impressions of Sony’s a7 and a7R mirrorless cameras.